Ever wanted to try something Guy Fieri has cooked? Are you a wine and dine kind of person? What are you waiting for!? Pebble Beach Food & Wine Festival is going down this weekend. 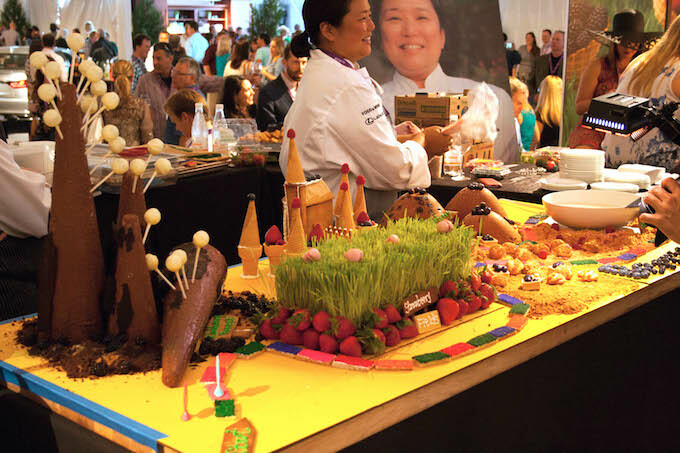 Over the course of four days, there will be cooking demos, grand tasting events, exclusive parties and celebrity golf tournaments all taking place at the gorgeous 17-mile drive in Pebble Beach. While we thought last year’s lineup of chefs couldn’t be topped, this year’s festival features Graham Elliot, Guy Fieri and Cat Cora amongst many other renowned chefs from across the country. A lot of the events have already sold out, but if you want to treat yourself royally this weekend, we suggest the Lexus Grand Tasting events, which are taking place both Saturday and Sunday. Hold on to your wine glasses and get ready to indulge! PBFW Weekend Highlights from Coastal Luxury Management, LLC on Vimeo.